Mody University was entrenched during the year 1998 as a private women's university in Kota city of Indian state Rajasthan. The institute was set up by Mr R.P. Mody, an industrialist and philanthropist with an intention to brighten the women’s future by providing them education which is accepted all over the world. The university is been recognized by University Grants Commission and certified by ISO. 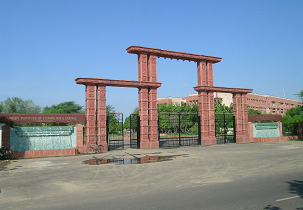 Mody University is spread across 265 acres campus full of greenery with a wide variety of trees and other plants. Mody University provides various facilities for the students such as on-campus residential facilities, well equipped labs, spacious lecture halls etc. Mody University provides various degree programs in many fields approved by AICTE, New Delhi and accredited by NBA. Mody University has been ranked top 45th among the top universities in India by India Today and has been ranked top 1 by the magazine The Week. The institute has been awarded with AAA grade by Career 360 among the top educational institute the state. Mody University provides a platform for the students to showcase their skills and talents by organizing various events and fests. 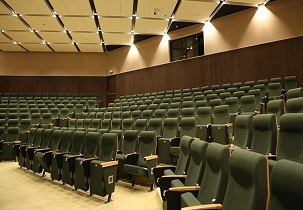 The institute organizes various events, fests, competitions, etc. to encourage their students to take part in various extra-curricular activities. Mody University is located in a place surrounded by Satya Naranyan Park, Hanging Bridge, Aerodactyl Park, City Mall Kota, Inox Cinema, Radhika Resort and Amusement Park and many such entertaining places to visit. Mody University offers Management of Business Administration (MBA) degree in several managerial streams including, Family Business and Entrepreneurship, Dual specialization in International Business, Finance, Banking & Specialization, Systems and Business Analytics, Marketing and Human resources. The duration of MBA program is 2 years (4 semesters) during which students will have to clear every semester in order to be awarded with the degree. The university also conducts in house interviews for the students to attain work in their respective fields during fourth semester as a part of college campus recruitment. 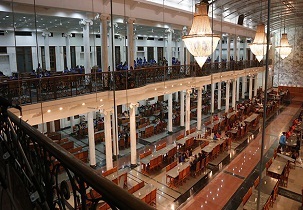 Mody University offers a total of six courses. Out of which five are dual specialization. These include International business, Finance Banking & specialization, Systems and Business Analytics, Marketing and Human Resources. And a specialisation in Family Business & entrepreneurship. A segregation of fee structure can be seen on the University website. Candidates with valid CAT/XAT/NMAT/CMAT/MAT entrance test scores and minimum 50% marks (or Equivalent Grade Point) in Graduation in any discipline can apply. They must've completed a minimum of three years of education after completing Higher Secondary School to be eligible. [Class 12 or equivalent]. Those who do not have CAT/XAT/NMAT/CMAT/MAT score maybe asked to take MMET (Mody Management Entrance Test ). At last the Selection will be based on Entrance Test Score, Academic Consistency and performance in Personal Interview (PI). 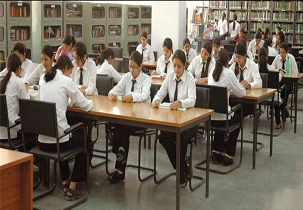 A valid CAT/XAT/NMAT/CMAT/MAT score is required for admission in the MBA programme. In the Absence of which the University itself conducts a Management Entrance Exam called (MMET). ) in which a minimum of 60% score is required to be eligible for the degree. The application process for 2019-20 starts on 1st December 2018. Applications would be invited from candidates satisfying eligibility criteria. Selection will be based on consistency in academic performance, Entrance Test Score and performance in Personal Interview. Distribution of weightage to Entrance Test Score, Academic performance and Personal Interview will be 30%, 30% and 40% respectively. The results of MMET and PERSONAL Interviews will be declared after a week from the scheduled date. On the basis of overall cut-off marks decided, candidates would be offered admission an would be intimated through post/e-mail. List of successful candidates would be uploaded on the University’s website. They would be asked to pay Admission fee by a required date. The remaining Candidates, if not rejected would be placed on waiting list. The seats of candidates who do not pay fees by a specified date shall be offered to candidates from the waiting list on merit. Admission of reserved category candidates, if any, would be made and unfilled seats would be released for general category admissions. Candidates who are aspiring the degree must've secured 60% or more marks in their preceding degrees and board examinations. Minimum cut out off of 40 percentile in CAT/XAT or 40 percent in NMAT or 60 percentile score in MAT/CMAT. MMET : Minimum 60 percent score. For the Selection in this course the applicants must fulfil above eligibility criteria. After which, The Final selection will be based on consistency in academic performance, Entrance Test Score and performance in Personal Interview. Distribution of weightage to Entrance Test Score, Academic performance and Personal Interview will be 30%, 30% and 40% respectively. Can I get admission now in July that too without jee mains or other entrance exam? admission processes and hostel services with charges? I want an admission but I m from mp kindly give me a following document required to bring for admiss? i want to take admission here ..pls tell me detailed fee structure and details about the entrance exam? Write Your Reviews on "Mody University"
Are you Interested inMody University"? Please provide the following details. Ask Question on "Mody University"?